Interviews with actors contribute to the insight into the superhero guise in this comprehensive book. 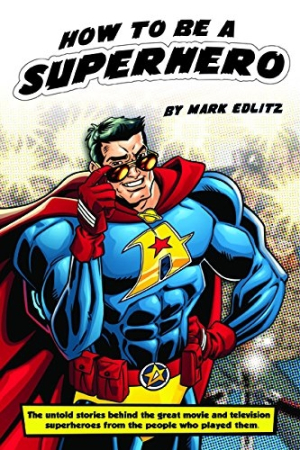 Mark Edlitz presents a compendium of his fascinating interviews with actors and actresses who have played the parts of superheroes in television and movie roles, in How to Be a Superhero. Edlitz spans the history of superhero portrayals, from TV’s Adventures of Superman to Iron Man and its sequels. The big names are here, like Adam West of the 1960s television show Batman, and Lou Ferrigno, who played the Incredible Hulk. But perhaps more interesting are interviews with lesser-known players, like John Newton, who played Superboy for one season on the eponymous television show, or Kevin Conroy, who has made a career as the voice of the animated Batman. Now that I’m talking to you about it, it sounds more interesting and psychologically complex than I had originally considered. [Laughing] It taps into an adolescent idea of loving someone and being misunderstood and being afraid to reveal yourself because you’re afraid to get hurt. With a full slate of interviews, Edlitz charts the influence of the culture of the times on the portrayals of superheroes, as well as the evolution of women’s roles from Julie Newmar’s Catwoman to Michelle Pfeiffer’s, and from Helen Slater’s Supergirl to Laura Vandervoort’s. Even while a few too many typos mar the text—week shows up as weak, exciting becomes exiting, Nick Fury is presented as Nick Furry—this excellent compilation of interviews brings a new light to the shows and films that have proven so popular over time.